The vegan brand Oumph! from Swedish company Food for Progress is now available at Europe’s largest health and wellness retailer, Holland & Barrett. As Oumph! 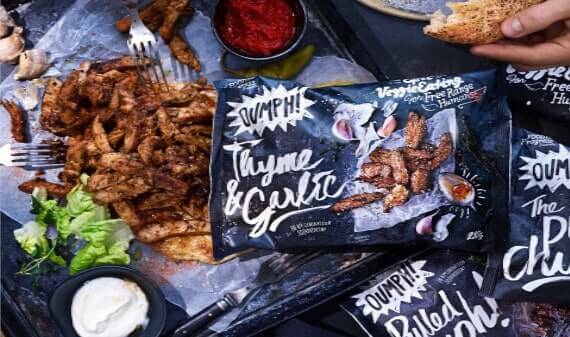 has recently announced, four of the brand’s vegan products will initially be available in 620 Holland & Barrett stores across the UK – Pulled Oumph!, Kebab Spiced, Thyme & Garlic and The Chunk. Holland & Barrett is Europe’s largest health and wellness retailer, and already offers a wide range of vitamins, dietary supplements, specialty foods, sports foods and ethical beauty brands. The company recently announced the opening of two experimental vegan-only stores. Holland & Barrett is always on the lookout for new and innovative vegan products, and its aim is to promote the plant-based lifestyle. “Veganism is growing rapidly in the UK, and Oumph! is a fantastic meat replacement product for people who want to enjoy a plant-based diet, making it a great addition to the Holland & Barrett range,” says Ian Chant, Head of Food at Holland & Barrett.